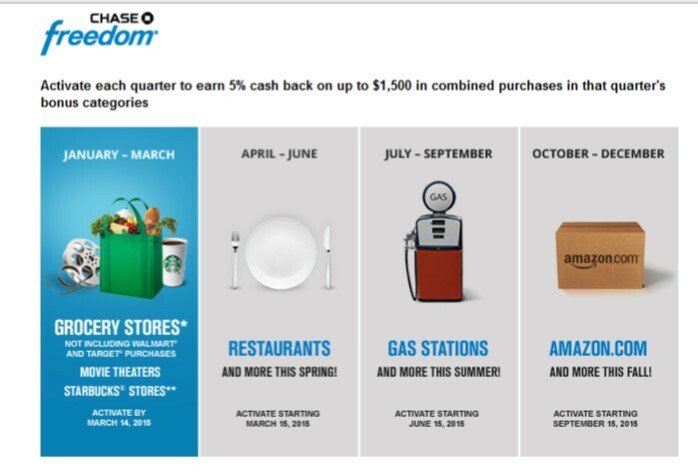 Both the Discover card and the Chase Freedom card offer rotating quarterly bonus categories where you can earn 5% cash back (Discover) or 5x points (Freedom). The categories for 2015 have been released. 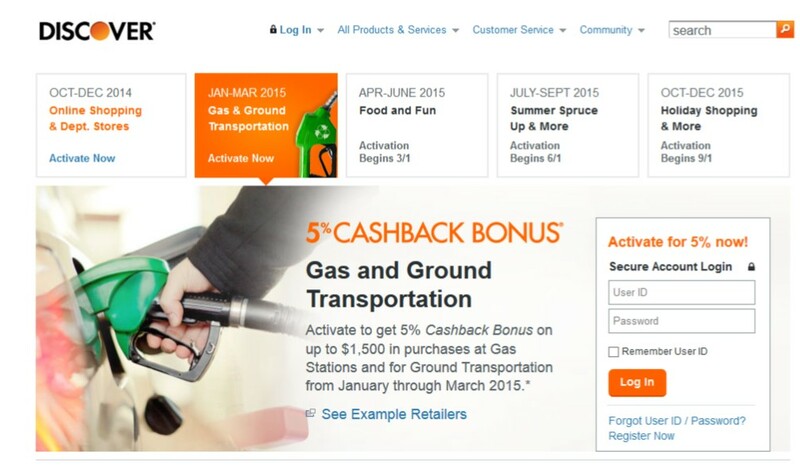 Discover’s categories for the first quarter of 2015 are Gas and Ground Transportation. That’s great for those who have to fill up often! Also included are rental cars, public transportation like buses and trains, charter and tour buses and limos. You can go ahead and sign up HERE and you’ll be all set come January. The Freedom categories are Grocery Stores, Movie Theaters and Starbucks. Note that the Grocery Store category does not include Wal-Mart or Target. The 5x bonus is limited to $1500 per quarter. Sign up will be available on December 15th.